Design and the Control Unit Design. exception capability to our processor. implementation details at an advanced level. following things should be kept in mind during the design phase. 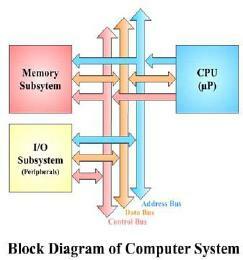 Let us take a look at the steps involved in the processor design procedure. described here in special register transfer notation. control signals that form the interface between the data path and the control unit. simpler by dividing the design procedure into smaller steps as follows. 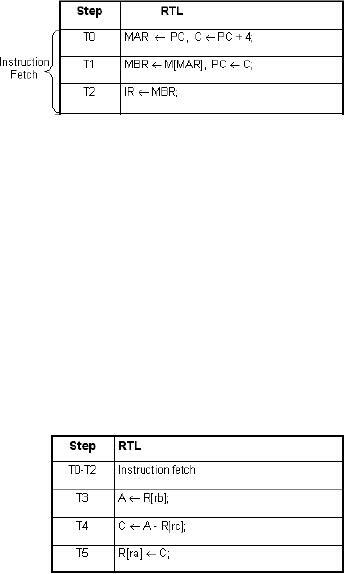 activated during the execution of each RTL statement. c. Tie everything together to complete the design of the control unit. In this section, we will discuss the uni-bus implementation of the data path for the SRC. makes possible the synchronization of the data path functions. data path is shown in the figure given. units are present in the SRC data path. other components via the internal processor bus. location onto the memory sub-system. transmission to and from memory. 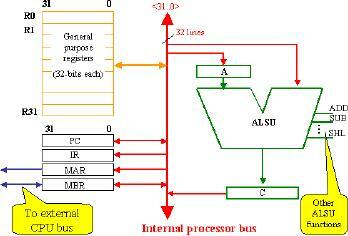 connection with the internal processor bus. registers according to the external circuitry (not shown in this diagram). instructions do not mix up in time. generator is shown in the figure. exclusiveness in time' of these timing intervals. intervals, analogous to the clock cycles in actual processor. implementations of these in terms of the structural RTL. and the other with register operand. Examples of both are shown in the following tables. the end of it, the timing step generator is initialized to T0. been using for the instructions. instruction add ra, rb, rc is given in table. the sign changes to (-), (^), or (~) according to the opcode. out in the ALSU as no separate extension unit is provided. structural RTL are subi, andi and ori. to T5) for both the instructions are the same. 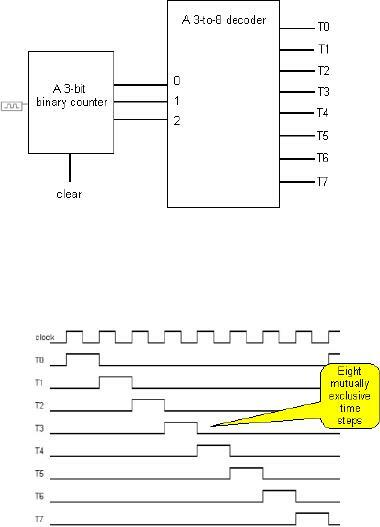 decoder can produce up to 16 time steps.